This was not a tour, was transport from koh lanta island to our resort in Krabi. Van was too crowded !!!! Driver did not take us to our resort as we were told he would. 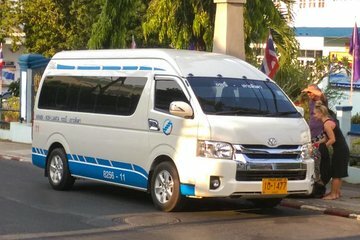 Would not take us any further than Krabi town, we had to pay for taxi from there to our resort which was another 400 baht, we should have been notified of this when we purchased ticket as we may have taken different method of transport. Driver did not know where our resort was before starting out.